Write and publish an 88-page book the shares your expertise quickly and easily. Many people already know they want to write a book, but they aren't sure what size/type of book to write. You might be wondering if you should write a booklet or brochure, which may look too salesy, or an e-book, which you can't hold up in front of an audience. Maybe you aren't sure if you have enough unique and innovative things to say to fill a longer book. Or maybe you know you want a longer book, but you don't want to spend a lot of time and energy writing it. So What Length of Book to Write? That’s where we can help. Let us help you write a book that builds your credibility — so you can proudly showcase your expertise. 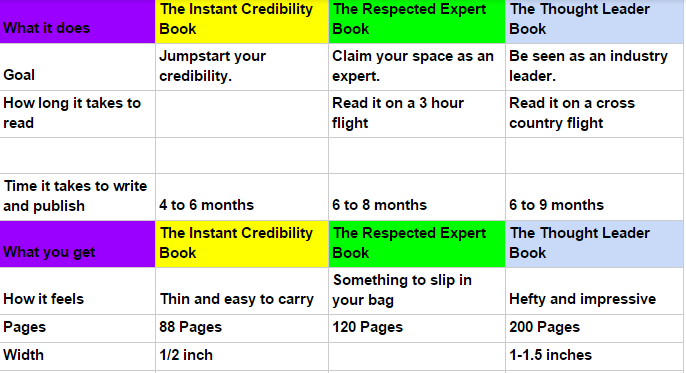 The Instant Credibility Book will jump start your credibility, so that you stand out from others in your industry. The Instant Credibility Book is inexpensive enough to give away as a calling card to attract more clients, yet meaty enough to sell with your other offerings so that you can charge more. is 88 pages, so readers can finish it on a quick flight. is light, so it's inexpensive to mail/ship. takes only 4-6 months to complete. 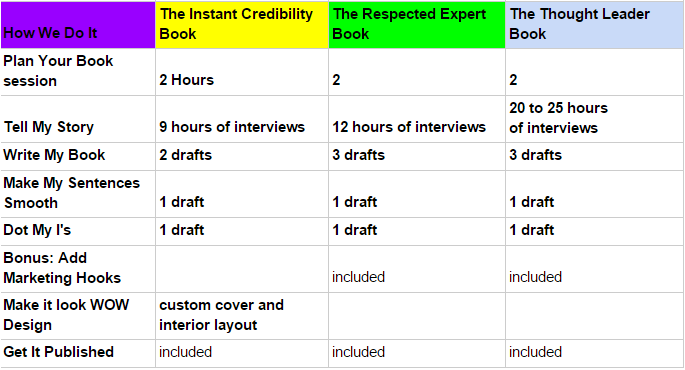 With the Instant Credibility Book package, we take you from idea to published book. We also set you up with your own publishing company and accounts with Amazon, so you can earn income from Amazon 24/7. 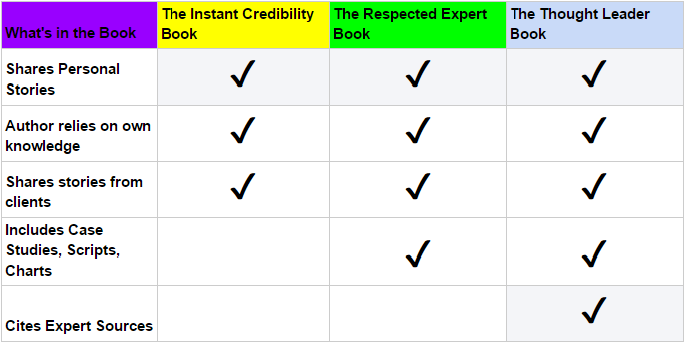 The Instant Credibility Book is a quick and easy way to write a book that sets you apart as an authority and expert in your field. A published book and e-book on Amazon and Kindle, and printed copies that ou can be proud to say you wrote. The Instant Credibility Book is a light 88-page book that can easily be tucked into your bag and read on a 90-minute flight. 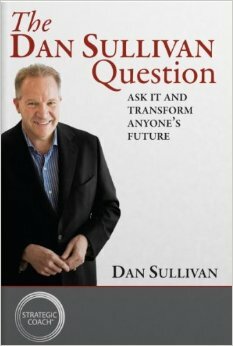 Examples are The Dan Sullivan Question by Dan Sullivan and The Wizard of Work by Richard Gaither. The Instant Credibility Book is a simple and elegant 88-page book that will be out in the marketplace for your readers to enjoy within 6 months. It’s an easy and fast way to get started as an author. A: Yes, with the Instant Credibility Book, you get to choose a hard or soft cover. We provide a designer to create a custom one-of-a-kind cover that you will love. A: Your book will be listed for sale as an e-book on Amazon within 6 months. Because printing takes more time, you will have a printed book in your hands within 7 months. A: This is exactly what we do with the Instant Credibility Book. During the interviews, you’ll tell us your stories and provide the content. Our ghostwriting team will write your book. You are the author. We are the writers and editors.